If you have questions about your nursing license or need help defending it, please call for a free legal consultation, (503) 232-9280. If you have received a letter from the Oregon State Board of Nursing, outlining a complaint that’s been filed against you, this could be the beginning of a legal process that has the potential to jeopardize your nursing career. Although you may be tempted to go it alone, in all likelihood, you’ll receive a better outcome if you have an experienced nursing license defense attorneyat your side. Common nursing license violations range from practicing with an expired license to substance abuse, poor patient care, falsifying documents, criminal arrests, dishonesty, and fraud. Having earned his BSN and practiced as a nurse for six years before becoming an attorney, Kevin Keaney is in a unique position to help nurses protect their licenses. In addition, Cathy Keaney, our Practice Manager, has an MSN and MPH and has worked in the healthcare industry for more than 30 years. She serves as a nurse investigator and nurse paralegal for our law firm. If you should have any questions about your nursing license or would like to schedule a free legal consultation please call (503) 232-9280, or e-mail kevin@keaneylaw.com. Please make note: Our law office is located Portland, Oregon, and we represent nurses in Oregon, Washington, and Texas. Kevin Keaney is a member of the American Association of Nurse Attorneys (TAANA), and he has represented clients before the Oregon State Board of Nursing (OSBN), as well as Washington’s Nursing Care Quality Assurance Commission (NCQAC). 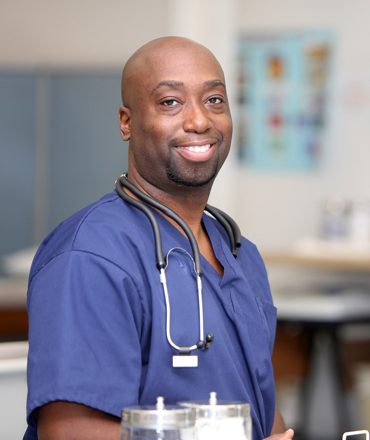 "I was hit by a nuisance attack to my nursing license and Kevin handled it beautifully. He guided me smoothly through the investigator’s interview and the Board’s interview. Nursing is my livelihood so I was pretty worried about what could happen. Kevin knew the process and knew the people so it turned out perfectly. I recommend him wholeheartedly. I hope I’ll never need him again, but if I did, I’d call him immediately. No question."